Zip Elite > Filtered Boiling Hot Water Tap (Brushed Chrome). Elite HydroTap. Kitchen tap in brushed chrome with filtered boiling hot water. Command-Centre size: W280 x D313 x H335 mm. Power: 1.43kW (1 x 13 amp fused spur). Minimum water pressure required: 1.7 bar. 5 Year warranty: Zip warranty this hot tap for 5 years. Zip Elite offers function and sophisticated and innovative technology. 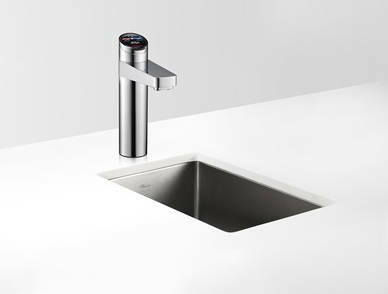 A simplistic and stylish design demonstrates just how beautifully engineered a HydroTap can be. 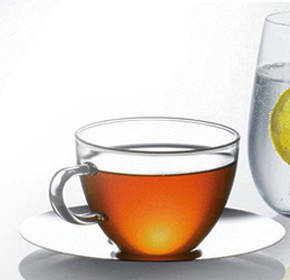 Also providing instant pure tasting boiling hot, filtered chilled and sparkling water.